Company: Goldman Sachs Group, Inc.
What did you expect to gain from your internship with Goldman Sachs? I expected to gain a better understanding of international markets, a broader exposure to global capital movements and a more quantitative approach to forming and expressing trade ideas. Did the internship meet or supersede your expectations? How? My three rotations were spent on macro-oriented desks in currencies, rates, and equities. I had exposure to the biggest financial macro markets via instruments ranging from simple linear spot to rate curves and vol surfaces. The culture at Goldman encourages collaboration above most competitors, which made finding ideas and learning a very easy and natural process. Tell me about an interesting encounter you had during your internship. 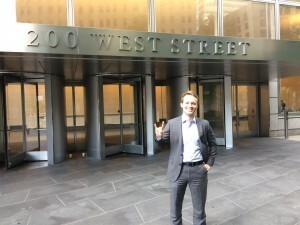 I met a lot of amazing, often very young people in senior roles at Goldman. The best isolated encounters I had were with senior people, because they cared more for who you are as a person than your straight ability. In one particular encounter I talked for around an hour with one of the partners about my childhood, upbringing, and extracurricular interests without ever touching on financial/work related topics. For me that was particularly memorable because it showed that Goldman cared not only for my technical and commercial development but was concerned with my development as a person and independent thinker as well. I learned a good deal about what I value in my work and employer from both a professional as well as a personal perspective. I learned the importance of quickly arriving at a good estimate of the best course of action as well as how to approximate the best balance between sticking with it and re-evaluating as you get new information. What did you contribute to the company? Most of what you contribute as an S&T intern is bringing a different perspective to known problems/inefficiencies. Much of your internship is spent being mentored. Trading in particular is and for the foreseeable future will remain, an apprenticeship business. That being said I contributed on a few projects relating to problems ranging from more technical goal oriented projects to simple daily recaps and resultant trade ideas/daily positioning game plans. What advice do you have for other students who are recruiting for internships? 1) what time frame you like your problems to be – do you want to spend minutes, days, weeks, years on projects. What’s your attention span? 2) how much risk you’re willing to take with your life. Are you ok with being in a role where there’s no structure to your advancement or do you need it laid out for you. Can you take being fired? 3) what you value in your life and how you want to spend your time thinking about the world. Do you want to think about people, organizations or economies? Do you like the role that your job plays in helping society move forward? If your work is going to play a big role in how you spend your time and live your life – in finance the hours alone oftentimes force this – your job should reflect who you are. 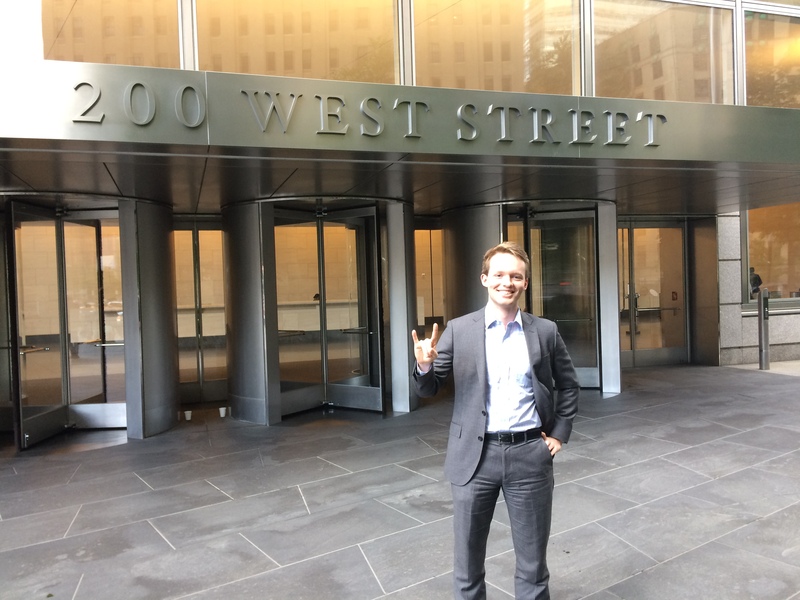 This entry was posted in Internship Spotlights, News, Student Profiles and tagged Benedikt Kroll, Business Honors program, Goldman Sacks, McCombs, UT. Bookmark the permalink.